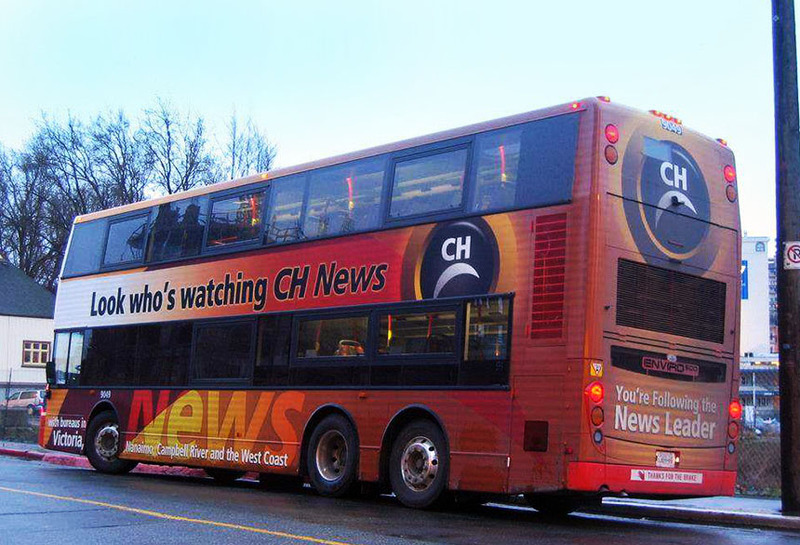 CH News ran a brand marketing campaign that made use of Lamar transit capabilities. This full wrap creative travelled around key business and residential areas to promote its brand. These full wrap creative busses ran in major metropolitan areas in Victoria, Campbell river, and the West coast.